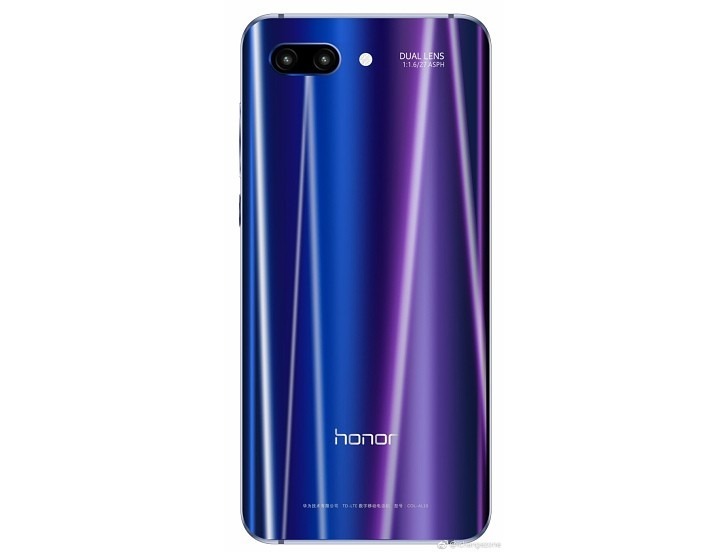 Honor is all set to announce the Honor 10 on April 19 and just a couple of days are now left for the official launch. We have seen several leaks including the official renders and posters. Today, the phone visited TENAA that revealed several variants as well as the major specifications. Looking at the specifications, we can surely say that it is going to be a powerful high-end device from Honor that will be competing with the upcoming OnePlus 6. Several variants are listed on TENAA that include model numbers COL-TL10, COL-AL10, COL-AL00, and COL-TL00. Talking about the specifications, Honor 10 has a 5.84-inch display with Full-HD+ display and a 2280x1080p resolution. This means that the aspect ratio is 19:9 (a notch!). Powered by the 2.36GHz Kirin 970 processor, the phone is Honor’s second after the Honor View 10 to feature this high-end processor. If you recall, the same processor is powering Huawei P20 and P20 Pro. There is 4/6GB RAM and 64/128GB ROM. On the rear, there is a dual camera setup that includes 16MP + 24MP sensors. Previous leaks have revealed that the camera setup has semantic image segmentation mode which makes use of AI capabilities for the multi-scene detection. Android 8.1 Oreo runs out of the box. Finally, there is a 3,320mAh battery under the hood with the fast charging support. Looking at Honor’s track record of pricing its high-end phones, we are expecting really good pricing for the Honor 10. What are your expectations? Do let us know via the comments section.